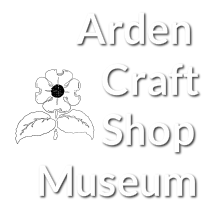 The Arden Craft Shop Museum is considering an exhibition about Arden Authors. We are in the first phase of collecting information about published authors who live or have lived in Arden, Ardentown, or Ardencroft. This involves making a comprehensive list of books and authors, as well as collecting information about their lives. We are asking everyone's help to add to the list. Stories and information about the life of an author will make any exhibition come to life, so we appreciate any information or materials you have about these authors. Linda Toman, June Kleban, and Hans Francke of the Museum & Archives Committee are involved in this project. You can submit information via the form below or directly to Hans Francke. Please send what yo﻿u have to hfrancke@verizon.net or call Hans at 302.475.9157. You can click on the document below to zoom in and page through to see what author information we already have. You can submit works and multiple authors per form. Please indicate which works go with which authors. Thank you!